Today is my sister-in-law's birthday. She's currently living in Canada and hasn't had a chance to meet Punky in real life yet (only via photos posted on facebook and Skype video calls) so I thought Punky should send her a special birthday message. 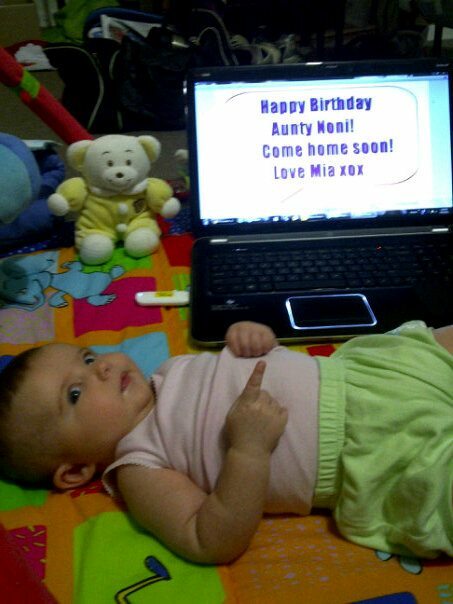 This is gorgeous :) What a lovely birthday present for Aunt Noni!